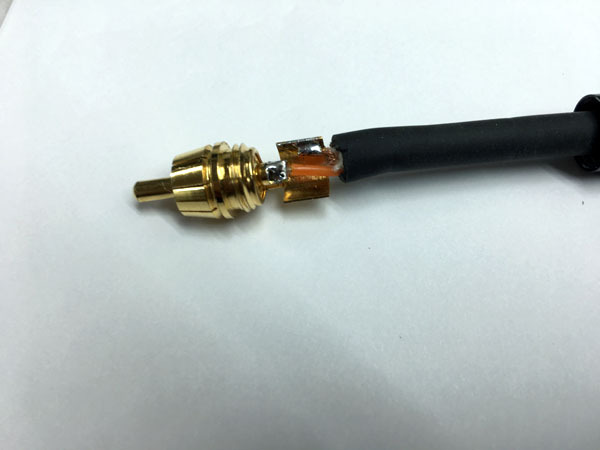 This doubles your preamplifier outputs. More on this here. 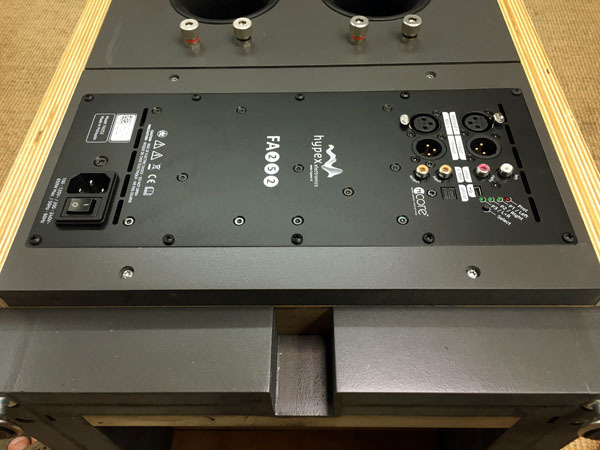 Next you need cables, either fully balanced or single-ended to balanced to connect your preamplifier with your main power amplifier and Hypex plate-amp/dsp. The critical point here is to know the gain of your main amplifier. 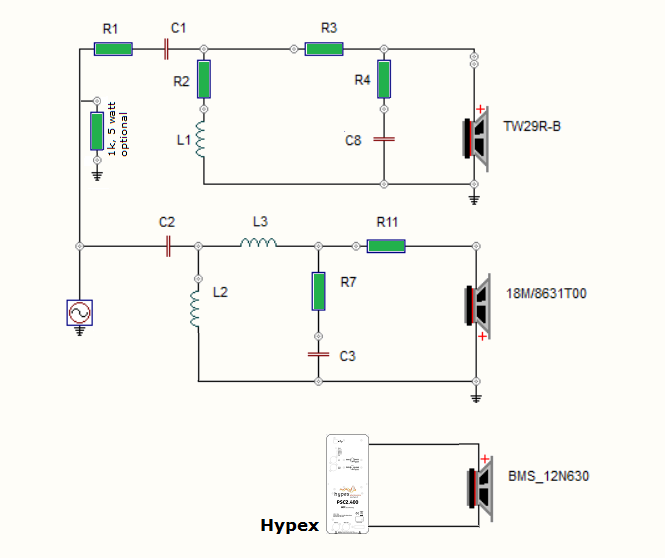 Obviously this should be the same as the setting for the Hypex module and the gain of the Hypex amps can be adjusted to almost anything, so any scenario should be possible. The Hypex FA252 software comes on a memory stick and go here to learn more. If further gain setting is needed this can be done in the Hypex Filter Design software. When you have installed the filter design software, connect the Hypex module and remember to set the unit to bridged mode. Then you click on filter design and open the file found on the memory stick. Here you can go through the three presets and further adjust gain if needed. 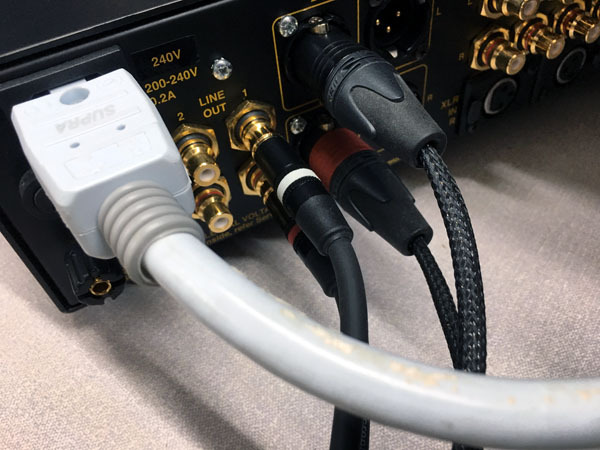 For the bridged FA252 I measure a gain of 24 dB, connected fully balanced. There are three levels in the FA252 program giving 24, 26 and 28 dB respectively. 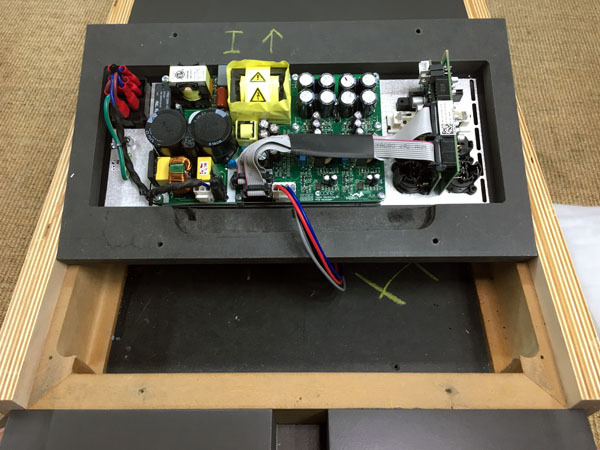 This will match most power amplifiers, but further adjustments can be made when setting up the plate-amp. Running SE (RCA) to BAL (XLR) from my EAR-868 preamplifier makes the same result as fully balanced, but cannot be expected from all pre-amps. Above the Hypex FUSION FA252 module occupying the former mid-tweeter section. The passive crossover is moved to the inside rear panel above the ports. In bridged mode the bass speaker is connected to red (+) and blue (-). 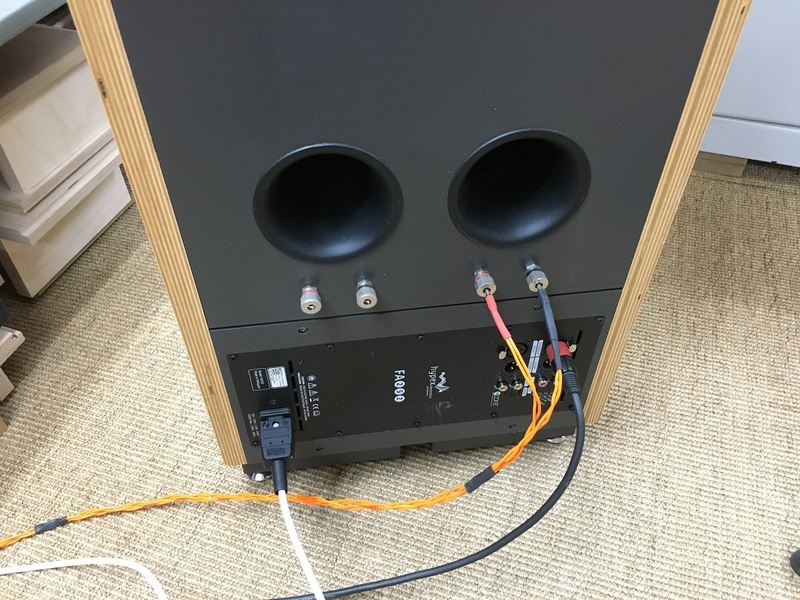 Connecting FUSION-BAD to my EAR-868 preamp from SE to BAL cable didn't require any adjustments of the Hypex gain, but you may have to do so to balance bass and MT section. 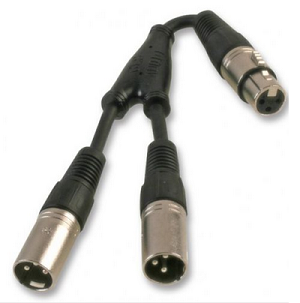 RCA to XLR cable. 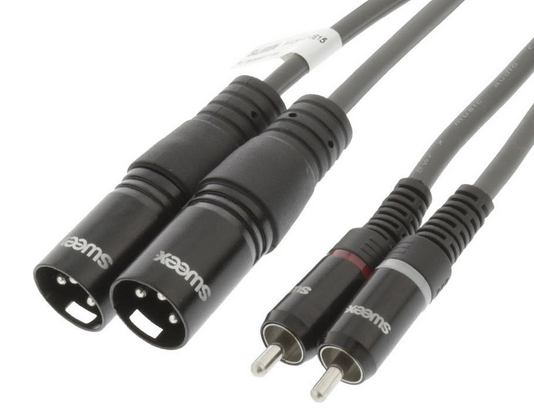 Connect plus to 2 and minus (1) to ground (3) on the XLR plug. Left: Passive crossover in place on rear panel above ports. The mid-tweeter section is the same as for the passive 3-way. 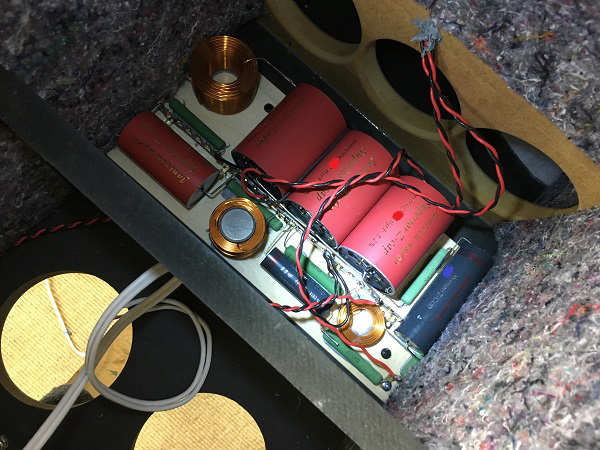 If you use a tube amp for the MT section you may add a 1 kOhm resistors across speaker terminals or on the crossover board as some tube amp designers have concerns about a tube amp running a pure capacitive load. I never had any problems with this from my GlowMaster or EAR 861. 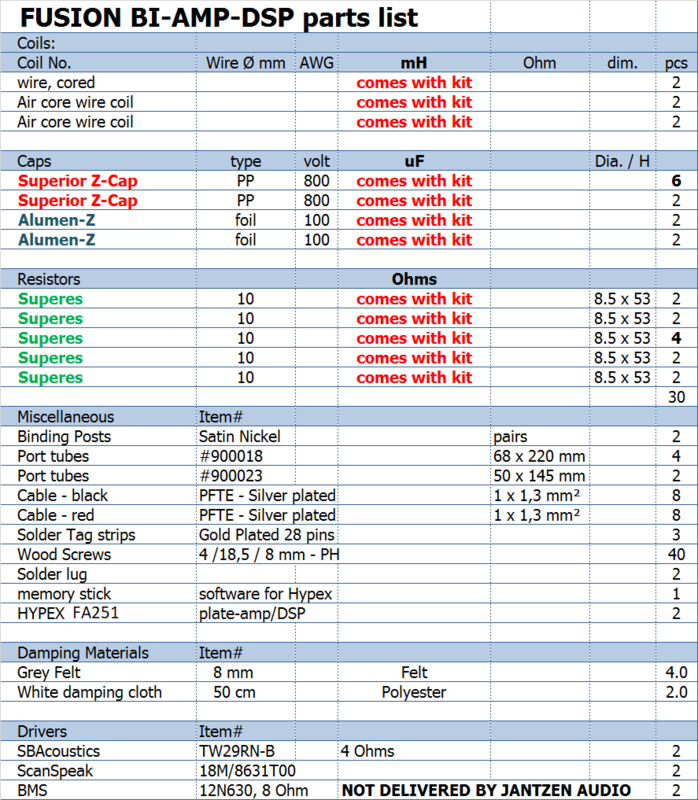 You can buy the kit with or without the drivers - or some of the drivers if you already have some. 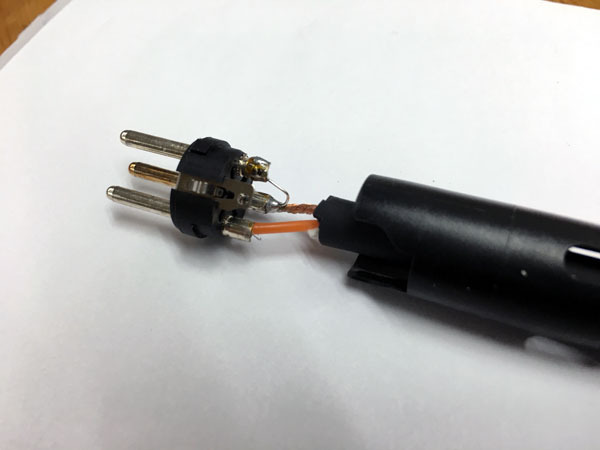 You can use the SBA Beryllium TW029BN-B dome (4 Ohm version) without changes to crossover. 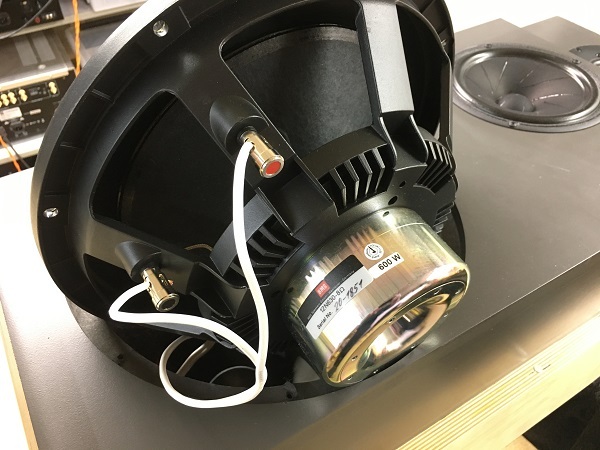 Please ask Jantzen Audio for options. Should you want to make the front grille, order 2 sqm cloth in the colour of your taste. Also order grille pegs and grille catchers. See Jantzen Audio website for options or order neodym magnet on eBay. Both very reliable dealers to my experience. The kit includes the Hypex software on a memory stick. Visitor quote: "Very realistic dynamic presentation, maybe partly due to amplification. 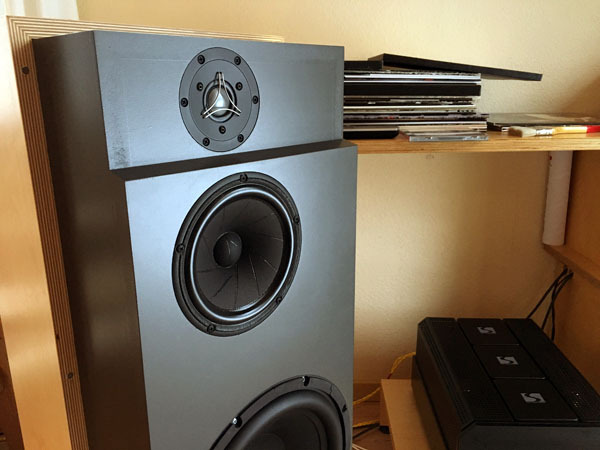 Superb integration of mid and tweeter, never heard a hifi-loudspeaker with such homogenous integration of drivers." I goes without saying that 500 watts for the bass driver has its impact. These Hypex digi amps holds the bass drivers in an iron fist. The FUSION-BAD is not a necessarily a badass, but it can certainly shake your guts if needed. My tube amps feel very comfortable only driving the mid-tweeter sections and I can play even louder than before. 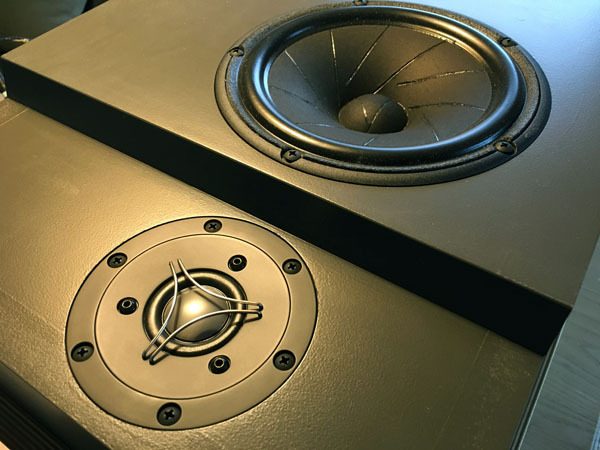 The boost at 30 Hz added to the transfer function of the low-pass filter further adds to the perceived soundstage of the system. A 2nd order high-pass filter has been added at 20 Hz for those who favour vinyl playback.